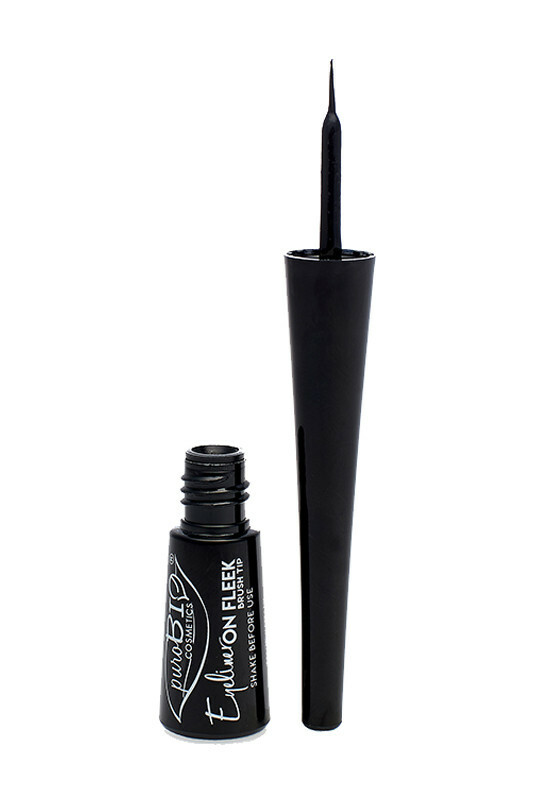 The Purobio Brush Tip "On Fleek" Eyeliner is perfect to sublimate your look! Ultra thin brush, the application of this liquid liner is very easy and precise. Very pigmented and semi-matt black for an intense look. Its formula enriched in hydrolat of organic sage argan oil, silica and glycerin protects your eyelids. 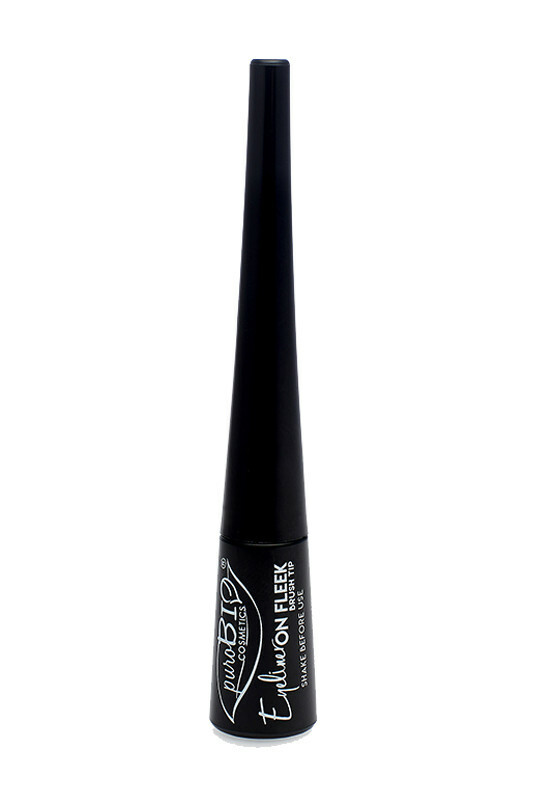 Purobio Vegan Liquid Liner Bush lasts all day! Easy to use and cruelty free/vegan! Great to find a range of make up of such awesome quality and price! Sublimate your look with Purobio Eyeliner Brush ! Take your PUROBIO Vegan Eyeliner, open it and take off the excess on the edge to avoid smudging. Apply the liner along the upper and/or lower lashline, going slightly upwards at the outer eye corner. A clean, nickel-free composition with PUROBIO Organic Eyeliner Liquid Brush!